Safewords come in all fashions. They’re used when people get overwhelmed – with any type of feeling. What’s Your Safeword? Driving a MINI is surprising, exciting, and exceeds expectations. Sometimes while driving one, things can get a little…weird – to say the least. When the feel of the wheel gets too much to handle, just say your “safeword” and we’ll take the excitement down a notch for you to regain yourself. 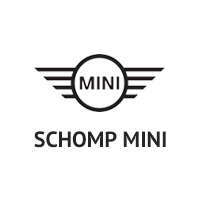 Introducing the Schomp MINI Safeword. The following video was written and produced by our very own Marketing and Digital Media team at Schomp. We hope you enjoy it and pass it on. Share away.